We were thrilled to watch Monty Don taking such good care of our little Candida lily on Thursday 12th July’s Gardener’s World. A couple of weeks ago the phone rang. I was busy watering (unsurprisingly!) and nearly couldn’t reach it in my pocket. I’m very glad I did as it was the BBC looking for a Candida lily. Of course, they had come to the right place! 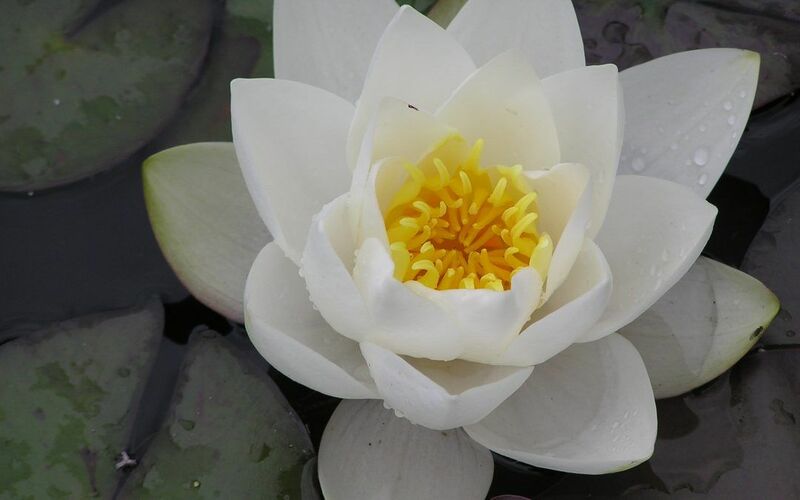 They popped over later that week and we were able to supply them with a lovely water lily that you saw Monty Don planting in his beautiful pond. They picked the perfect time of the year. Many of the plants we send out around now are just as lovely, often with a bud or two, so you barely have to wait for your lily to bloom. We love Candida. It is a small and compact plant with a very pretty free-flowering white flower nestled in mid-green leaves. It’s perfect for small to medium ponds, or when you just want to add a hint of white to larger pools. It flowers throughout the summer from June to September, so you’ll get plenty of joy out of it year after year. On the show the lily appeared in a pot, but normally we send our plants bare rooted, to keep delivery costs down. You need to plant them up when they reach you. (We would advise potting on water lilies even if you buy them ready potted, unless they’re pygmy varieties). If a job is worth doing, it’s worth doing well. Follow our guide and make sure you give your water lilies the best chance of showing you a wonderful summer display. From what he did and said, it looks like Monty Don has been reading the blogs on our website! We hope it will encourage you to take a look too.